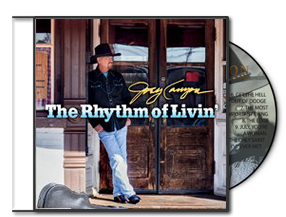 Joey Canyon’s long-awaited second album, The Rhythm of Livin’, delivers the tearjerkin’ and boot-stompin’ strum of ageless, timeless, classic country – as country was meant to be. 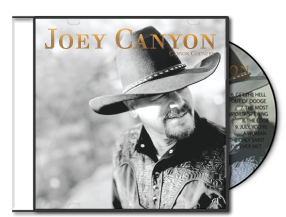 Trailing three decades of storied accomplishments in the country music and entertainment industries comes his greatest country music compilation to date. Weaving together genuine heartfelt down home values along with experiences and lessons gained from life in Los Angeles to the Rocky Mountains and Nashville. His newest release is a collaboration with award-winning bass player and producer Curtis Stone of Highway 101. If you are a fan of Randy Travis, Alan Jackson and George Strait, you’ll want to get this album.